The Doctors set included 18 awesome pieces. All batteries are included in this set for the parts which can light up and make noise. Uses a total of 3xAA and 7x AG10 batteries. Includes a cool x-ray machine with different x-ray cards. 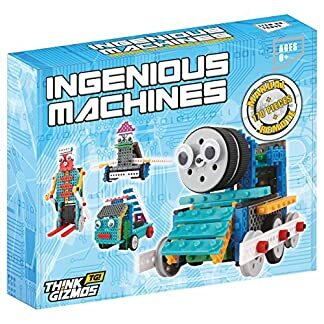 Part of the Awesome Role Play Series from ThinkGizmos, the doctors kit it includes a massive 18 different pieces of equipment. Some of the parts also include sounds and lights for added realism, the include the Stethoscope, magnifying glass, ear scope and x-ray machine. The Doctors set is made up of a Thermometer, Stethoscope, X-ray Machine, 4x X-Ray Cards, Syringe, Ear Scope, Magnifier, Reflex Hammer, Scissors, Glasses, ID Card, Medical Chart, Clip Board, Surgical Tray, Scapula and Spoon. The TG663 18 Piece Doctors Set is the ideal toy for children aged 3+.